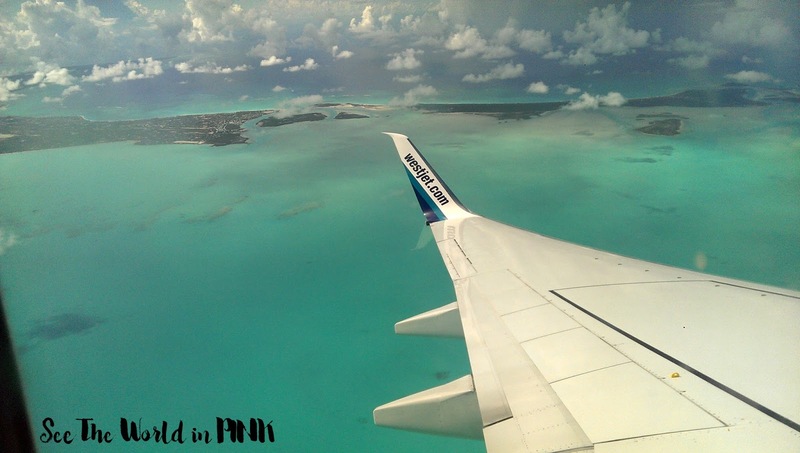 I was looking forward to ending the vacation on Provo (Providenciales) - this is the busiest island for tourists! It has been really fun seeing some smaller islands that are really different than I have been before, but now it's time to end the trip with a little luxury! We spent the first few days of our honeymoon on Provo, but we stayed on the famous Grace Bay Beach side and it was beautiful! I wanted to see what the south side of the island had to offer with some quieter beaches - Sapodilla Bay and Chalk Sound! 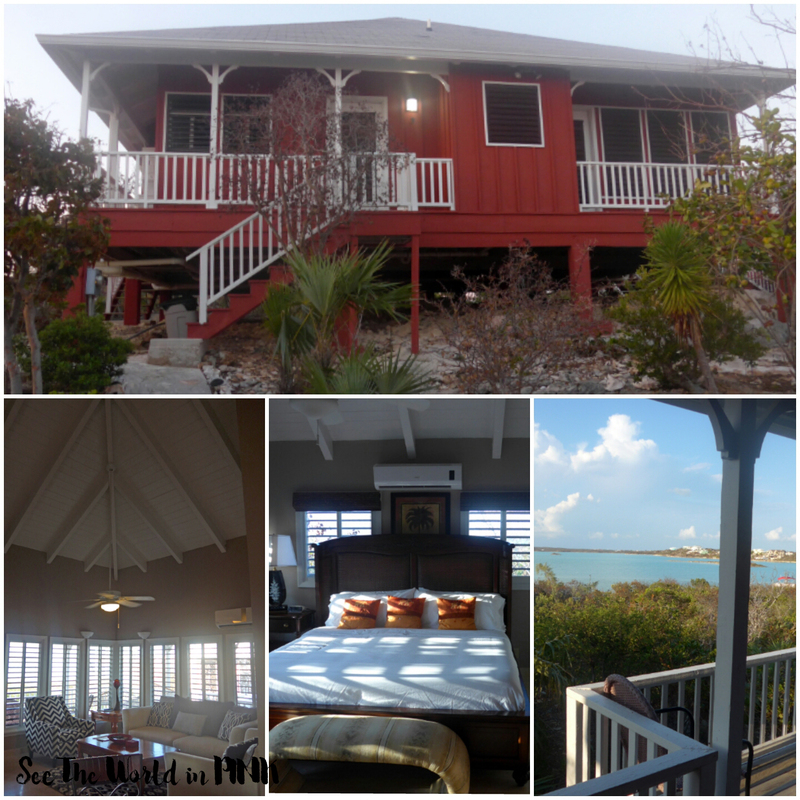 We stayed at Neptune Villas and requested a villa with a Chalk Sound view! This was a huge villa with a kitchen, dining room, big living room, bedroom, and a balcony with a hammock and a great view! The villas also come with a shared pool, a little Chalk Sound beach front, and kayak and canoe rentals! We loved renting a kayak and going all around Chalk Sound - this lagoon is a national park so it is very quiet, but stunning! 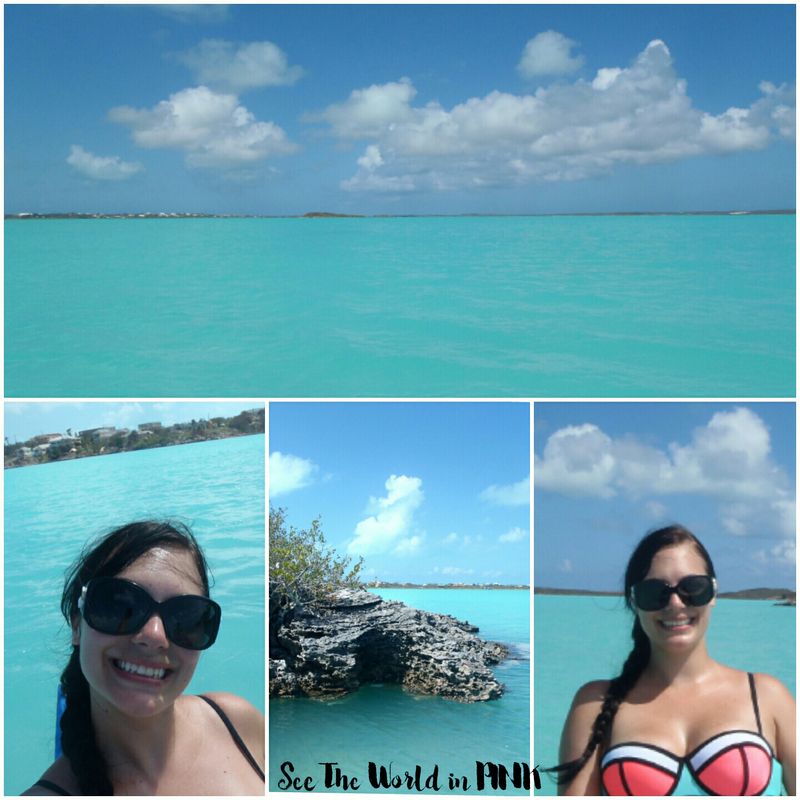 The water is more turquoise than I have ever seen and it is nice and calm as it is a mostly landlocked lagoon! Worth the trip to see! This is a beautiful beach in a small little bay - the water here is clear, calm and shallow - you can walk out very far in this water and it does not get deep very fast! There are plenty of beautiful vacation homes along this bay, but I would recommend no matter where you stay on Provo, this is a must do beach - especially with kids! Sapodilla Bay is right across the street from Neptune Villas - there is a quick little path access and it was easy to get to! I also heard that Taylor Bay was just as beautiful and a quick walk away - we were given what I thought was straight forward directions to follow. This was not the case. We walked down a road for over an hour trying to find the little entrance (apparently this is more of a private beach for residents and can be a little hard to see the public entrance). Anyways, it was super hot out and we did not end up finding the entrance, so no no Taylor Bay for us! 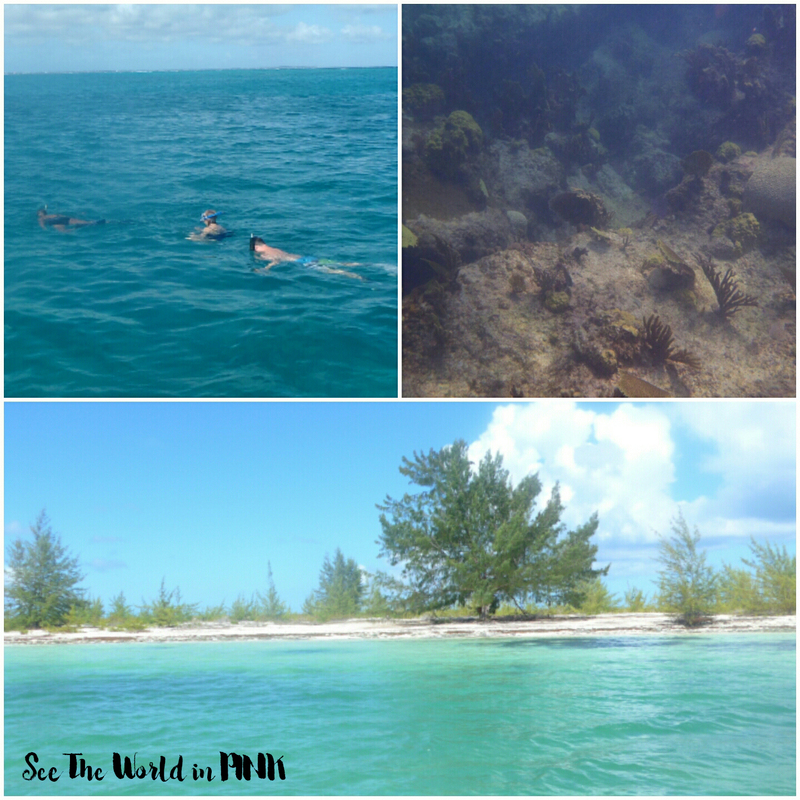 During the first few days on TCI, we booked the morning 1/2 day snorkel tour with Island Vibes and we loved it! 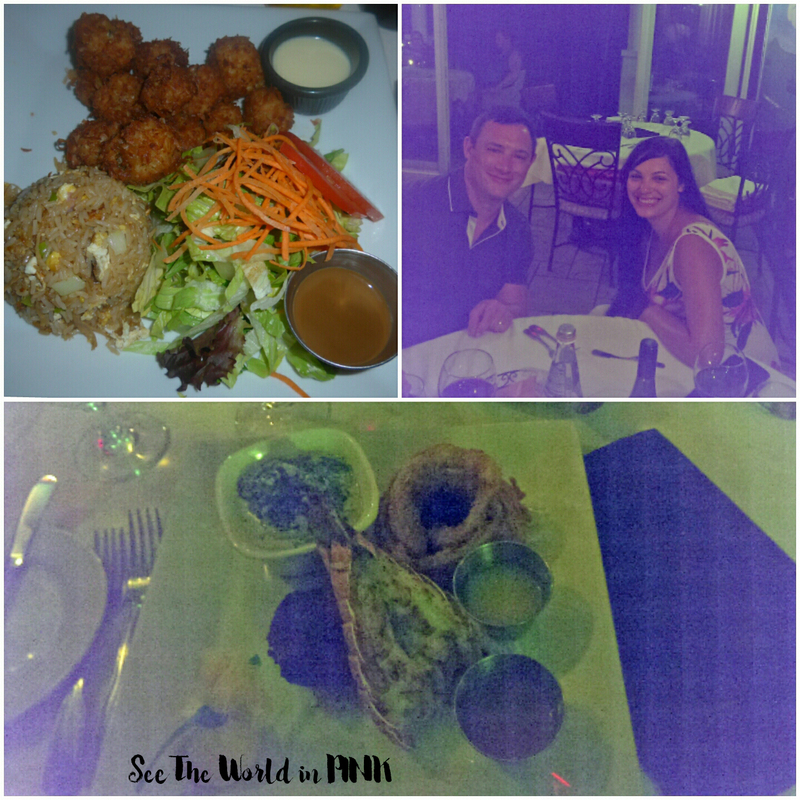 We actually loved it so much, we decided that for our last day on the island we wanted to DO IT AGAIN! On our first tour, the water was too rough to snorkel the reef so we had to improvise our snorkelling location. For this tour, we actually went through the tour as it was supposed to be! We started out with a little tour of Grace Bay and then the boat parked out in the water. Those who wanted to dive for Conch were able to - my husband actually got one from the ocean floor and brought it up! Then, we snorkelled the 3rd largest reef in the world (and only got 1 picture seen above, as our underwater camera decided to die forever....), but it was beautiful! Then we went to Halfmoon Bay - a little sand bar island with iguanas! This is also where they feed us conch ceviche! Then after a little lunch, they turn up the music, park in the middle of Grace Bay and let everyone have some fun on the rooftop deck with a slide and diving board! They also give you unlimited rum punch and beer! After the morning snorkel tour, I really wanted to do something on the honeymoon that I have never done before - Parasailing! The companies just reopened early October, as when we first arrived in September it is low season and a lot of companies close down for the month! 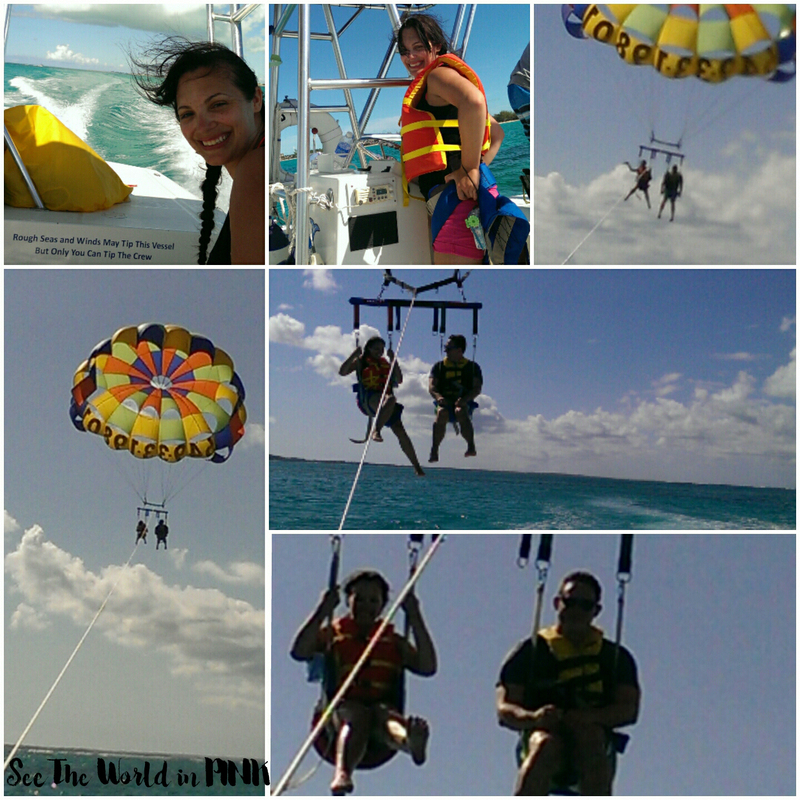 We booked with Sky Pilot Parasail - and honestly, we had a blast! I was actually a little nervous to go parasailing because I don't love heights, but this was a blast! We loved being up there and the views were incredible (also, I don't recommend drinking a ton of rum punch prior to parasailing because I had a little trouble landing smoothly on the boat after the flight!). This was a dry parasail so you do take off and land from the boat! After two weeks we were ready to head home! This is the flight leaving Provo and heading to Toronto! From Toronto we headed back to Calgary and we were home! 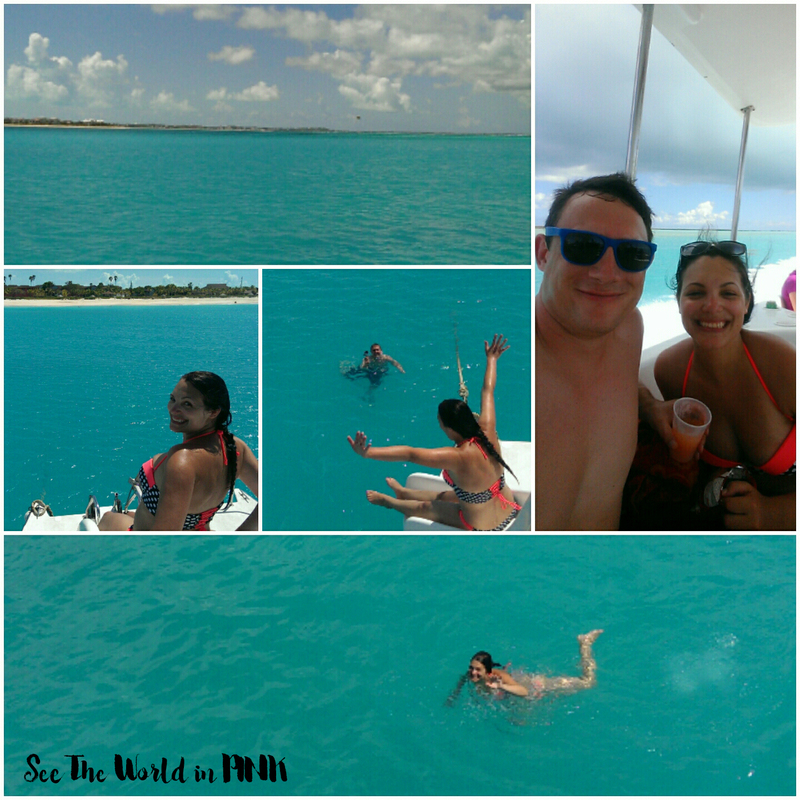 So this is Part 4 - the final part of my posts on my Turks and Caicos honeymoon, make sure you check out Part 1 where we spend a few days on Grace Bay, Providenciales; and head to Part 2 to see our stay on the capital island of Grand Turk; and, see Part 3 where we stay on the teeny, rustic island of Salt Cay! 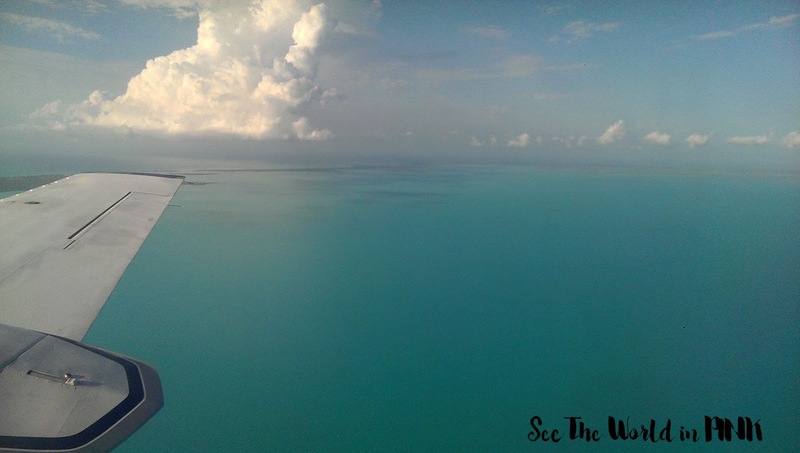 Such a lovely set of islands - it really is a great vacation on Turks and Caicos!